Leru Cut - one of the most beautiful and unique dive sites in the Solomon Islands. You swim through a long, narrow passage lit by sunlight filtering in from above for about 300 feet, then surface in the middle of a jungle. It is as if a giant had chopped off the top of the island with a machete. This unusually shaped sea fan was at the entrance of the passage. 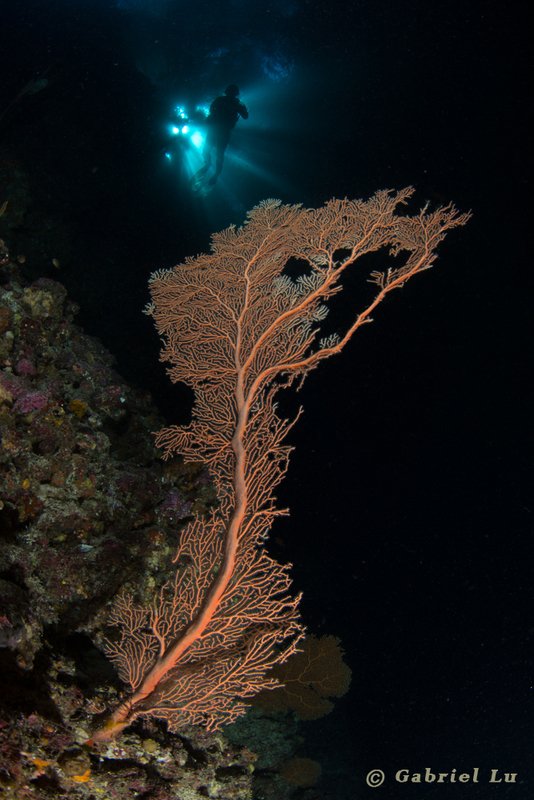 Please Note: This is a printout of the Ocean Safari Scuba | Blog | Lonely Sea Fan at Leru Cut page from 04/25/2019. Some information may have been updated in the mean time. Please visit PAGE URL to view the latest up-to-date information or call us at 626-287-6283 if you have any questions.